Once again we find ourselves delighted, enticed, moved, and surprised by a Disney-Pixar film. No, "Coco" did not break any molds. In fact, it has a peculiarly predictable story. But this does not deny the emotional heft that the film carries and made this experience one that was extremely memorable. After his musician great-great-grandfather left his great-great-grandmother Imelda and their daughter Coco alone to fend for themselves, Miguel's family has had a baffling generations-old ban on music. 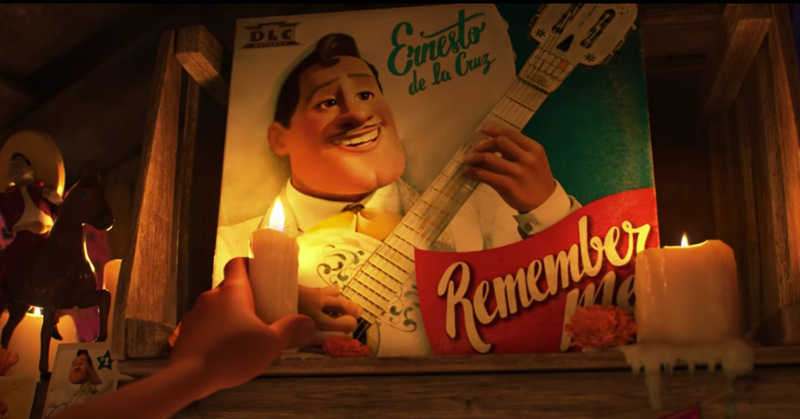 But Miguel (Anthony Gonzalez) dreams of becoming an accomplished musician just like his deceased and venerated idol, Ernesto de la Cruz (Benjamin Bratt). While trying to join a talent show during the Day of the Dead, Miguel, out of desperation to find a guitar to play with, decides to borrow Ernesto de la Cruz's guitar from his crypt. 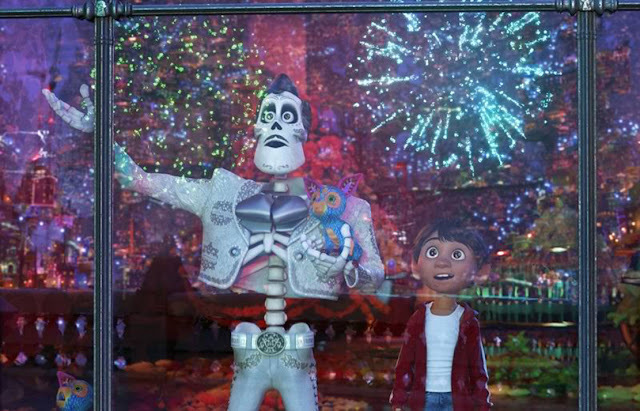 But as his luck would have it, Miguel finds himself in the stunning and colorful Land of the Dead. Due to him stealing the guitar, he finds himself cursed and he needs to find a way out before sunrise or else. He meets the charming trickster Hector (Gael García Bernal), and together, they set off on a journey to not only save Miguel but unlock the real story behind Miguel's family history. "Coco" delivers a well-rounded experience that both young and older audiences will find entertaining. At its core, this is the quintissential Pixar film which means it's going to be a emotional rollercoaster from beginning until the end. 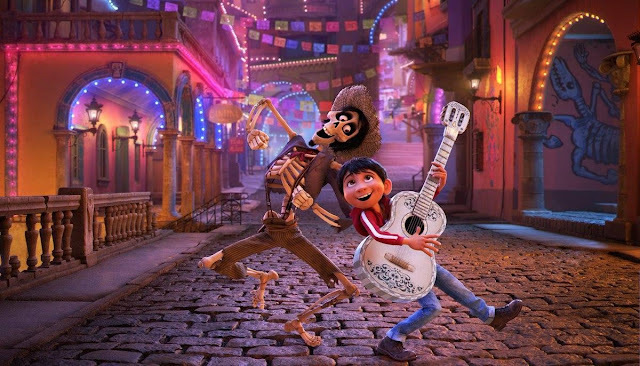 But beyond that, "Coco" was a vibrant experience that makes the Land of the Dead and the Mexican culture simply pop on-screen. The visuals alone are worth the entry price in our opiniion but the film also delivers well in the audio department. The film features several songs that make their mark not only as great songs themselves but more so as vehicles to amplify the emotions of its viewers. "Remember Me" is our easy favorite due to tear-inducing design. The only gripe we have for "Coco" is its rather pedestrian and predictable plot. There's nothing ground-breaking here but it works with a formula that just works. This means that even with its non-surprising twists, the story was still great overall.